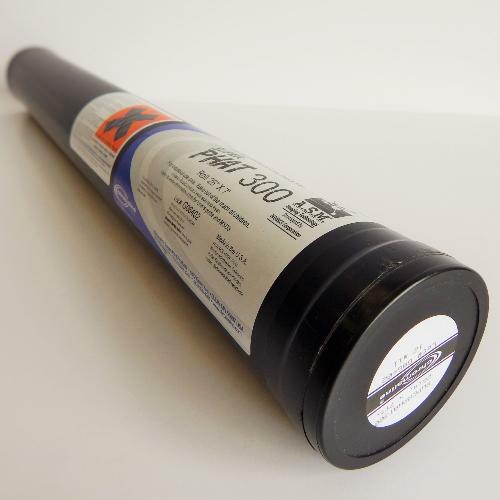 The Chromaline SUPER PHAT high build capillary film is the ideal choice for printers seeking heavy ink deposit in a variety of applications and print solutions. SUPER PHAT film works well for textile printers working with high density and special effects inks. Electronics and industrial printers will appreciate SUPER PHAT film’s ability to accomplish extreme stencil build-up whilst maintaining an excellent edge definition and print resolution. Chromaline’s SUPER PHAT film is the ideal choice for printers seeking heavy ink deposit in a variety of applications. SUPER PHAT film works well for textile printers working with high density and special effects inks. Chroma/Tech® SUPER PHAT film incorporates Chromaline's patented A.S.M.® (U.S. Patent 5,506,089, other patents pending) imaging technology for easier handling and better line edge definition. SUPER PHAT film is for used for special effect, plastisol UV and industrial screen inks. Available in roll or sheet form.